People either love or hate Southwest Airlines. 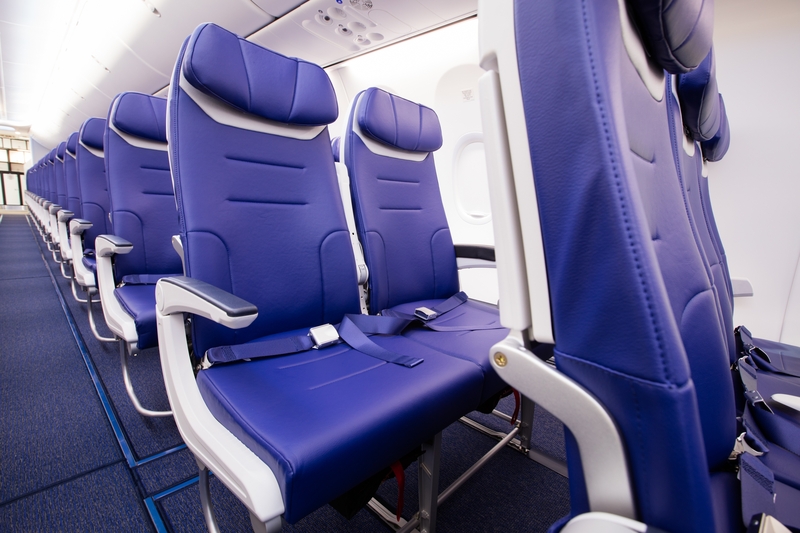 Few take the middle ground and no one wants that dreaded middle seat! If you’ve been wondering how to select a seat on Southwest Airlines, listen up. Here’s what you need to know. Some travelers won’t even fly Southwest due to their quirky open seating boarding process. It can be stressful and often means you have to summon up your best hustle energy to get a good seat on Southwest. And of course, a good seat means different things to different people. It’s best to board with a plan! Here are some tricks, tips and strategies so that the dreaded middle seat goes to someone other than you! If you’re new to Southwest and can’t figure out how to pick your seats, don’t worry, neither can anyone else. Southwest Airlines has an open seating policy. Seats are not assigned ahead of time, rather passengers are assigned a boarding group, A, B, or C, and a boarding position, 1-60. The boarding group and position determine when you board the plane, and thus how many seats you will be able to choose from. The whole thing used to be a true free for all. The airline handed out placards with one of the three letters. People would line up under a letter, camping out on the ground for literally hours before a flight departed, in hope of improving their real estate situation onboard the flight. Southwest decided this wasn’t a good look, and back in the mid-2000s added boarding positions. Now, the lines have numbers and everyone is expected to sort themselves out based on their exact position in line. Unless you really are dead set on sitting at the bulkhead or you really want an exit row aisle or window, the key to finding a decent seat on a full flight is to secure a boarding position in roughly the first half of passengers to board. What Makes For a “Good” Southwest Seat? All of this talk about seating begs the question, which seats qualify as good ones? The seats on the plane are more or less all identical. Except for exit rows, there’s no extra legroom seating, and there’s not really any perk to one seat over the other, besides location. Southwest Airlines cabins are delightfully uniform. Seats are spaced evenly apart, and they all have full tray tables, armrests and luxe amenities like lights and air. The best seat on Southwest depends on personal needs. Travelers with connecting flights might want to sit in the front in order to make a quick exit, but then there are those who head straight for the back perhaps because they are a family looking for seats together. Some folks head to the back hoping the flight won’t be full and they’ll have a row with an empty middle seat. One piece of information I like to have before I sit down is how full my flight is. I’ve seen Southwest gate agents make announcements as to whether a flight is full, but they often make this up just to get everyone on the plane quicker. One inexact way to judge is to see how many people remain in the gate area after the A Group is called. If about half the gate area lines up for A boarding, it’s a safe bet there will be plenty of empty seats. During full-ish flights, choosing seats in the front-center section increases your chance of securing an empty middle seat between you and a neighbor. When there are plenty of empty seats, though, the rear of the aircraft can be downright spacious. If there’s one rule Southwest regulars follow religiously, it’s this: check-in exactly 24 hours before the flight. I sometimes even set an alarm for the exact minute! Use this page. Use it early. Get on your laptop, open the Southwest website on a smartphone or download the Southwest app. Within a few minutes of opening, many of the coveted top boarding positions will be gone, so it’s crucial to click that Check In button as early as possible. I know some Southwest frequent flyers who set an alarm five minutes before check-in opens. They’ll enter all the necessary information on the website to check in and then as soon as the clock ticks 24 hours, they’ll click the button. Not sure if you’ll be able to check-in 24 hours prior to your flight? Consider purchasing Southwest EarlyBird Check-In. EarlyBird Check-In costs $15.00 one-way, per person. When you purchase EarlyBird Check-In, Southwest automatically checks you in and assigns your boarding position within 36 hours of your flight’s departure. Southwest EarlyBird Check-In doesn’t guarantee an A boarding position, but it stands to reason you would be in the A or early B group. Does Southwest Airlines Have a Family Boarding Policy? Have a family? You’re in luck. An adult traveling with a child six or younger may board during Family Boarding, after the “A” group has boarded and before the “B” group begins boarding. If the child and the adult are both holding an “A” boarding pass, they should board in their assigned boarding position, but if either is B1 or later, this shortcut helps families sit together. Once Southwest starts boarding, things happen quickly. If you are running late and have an earlier boarding position, just walk to the front of the line to board. Don’t worry, cutting isn’t rude in this circumstance. I’ve seen this happen many times, especially with travelers from connecting flights. Southwest offers a fare that guarantees an A1-A15 boarding position: Business Select. These fares are pricy — more than a fully refundable ticket — but they include FlyBy Priority Security lane access and come with free cocktail coupons. What Exactly Is a ‘Wanna Get Away’ Fare? If you don’t want to purchase a Business Select fare, Upgraded Boarding is an alternative. Upgraded Boarding is not always available, but can be worth trying. 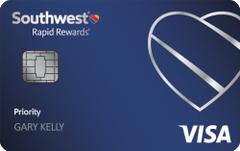 The new Southwest Airlines Rapid Rewards Priority Credit Card actually includes Upgraded Boarding on four flights per year. It also comes with a heap of intro bonus points, if you spend enough. Click here to access this card and others like it. On the day of travel, go to a Kiosk at the airport and Check-In again. It’s also possible to ask about Upgraded Boarding at the baggage counter. You can also ask at the gate before the start of the boarding process. If Upgraded Boarding is available, depending on your itinerary, you’ll be given a boarding position in the A1-A15 group. The cost is $30 or $40 per flight depending on your itinerary. Southwest Airlines Rapid Rewards members with A-List and A-List Preferred status. These members are automatically assigned boarding positions ahead of general boarding. They even board ahead of EarlyBird flyers. Save a seat and someone’s likely to give you this look. Some travelers will attempt to save seats for people boarding after them. Many frequent flyers will complain because Southwest doesn’t seem to have an official policy on this practice. Even if they do, crews don’t consistently do anything about it. I’ve observed that most people don’t care if someone is saving a middle seat next to them when their traveling companion is boarding soon. But beware! Some passengers take saving seats to the max. You may need to speak up or ask a crew member for help. How do I select a seat on Southwest Airlines can be a confusing question to answer. 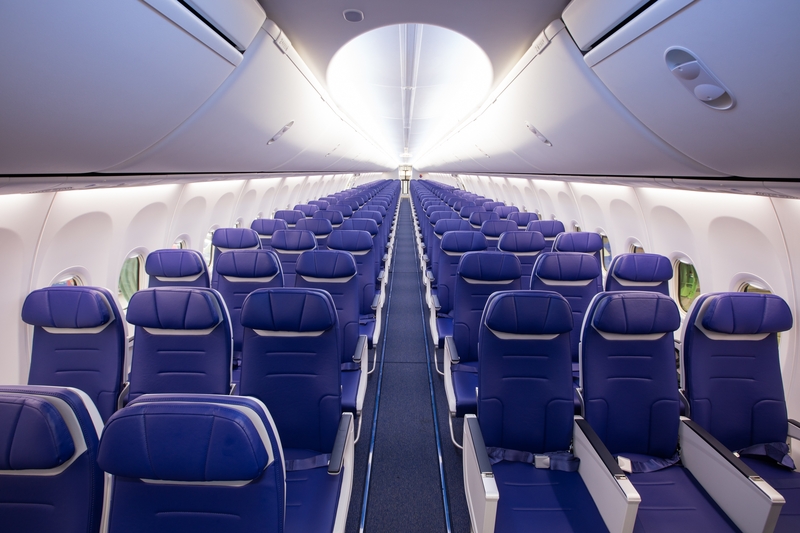 These tips and suggestions can help you navigate Southwest’s open seating policy with the least amount of stress, a good dose of humor about how it all somehow works, and the best chance of getting the best seat possible!